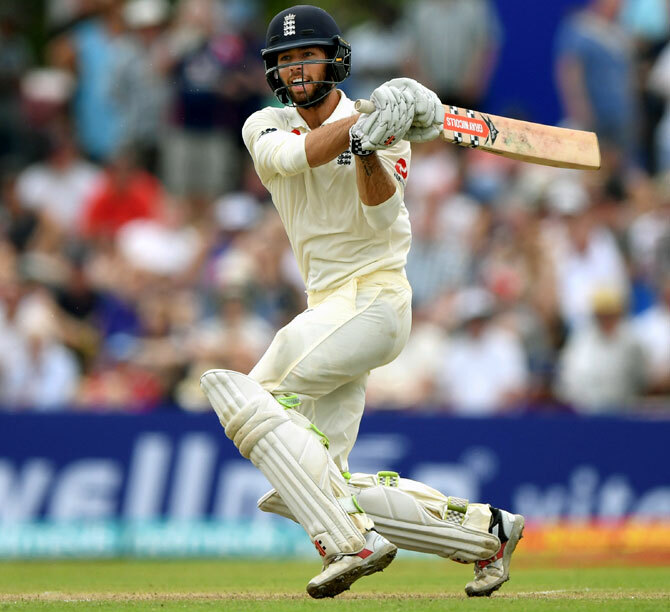 England's Ben Foakes made a memorable debut to help the tourists recover from a terrible start and reach 321 for eight wickets on the opening day of the first Test against Sri Lanka in Galle on Tuesday. With England reeling at 10 for two and then 103 for five, even the 200-mark looked difficult but Foakes forged 50-plus stands with Jos Buttler and Sam Curran to drag them back into the contest. Foakes, replacing the injured Jonny Bairstow in the side, was unbeaten on 87 at stumps, having been impressive with his batting while his glovework remains to be seen. Jack Leach was on 14 at the other end after quite a turnaround by the tourists in the last two sessions. England had earlier made an unconvincing start to life following the retirement of stalwart Alastair Cook after captain Joe Root opted to bat first to avoid the prospect of having the final innings at a famously spin-friendly venue. It was the early pace of Suranga Lakmal, however, that undid the top order of a side playing their first Test without England great Cook who left the international arena in September. Opener Rory Burns (nine) disappointed on his Test debut and Moeen Ali failed to justify his promotion to number three as Lakmal claimed two wickets in two balls. Sri Lanka wasted both their reviews inside 12 overs but it was the golden arm of retiring 40-year-old Rangana Herath that ended Root's 62-run stand with Jennings. Herath, given a guard-of-honour by his team mates ahead of his 93rd and final Test, yorked an advancing Root to claim his 100th wicket at the venue where he made his debut in 1999. Root hit five boundaries in a fluent 35 before paying for his recklessness. Dilruwan Perera (4-70) dismissed Jennings for 46 and Ben Stokes for seven in his second spell, clean bowling both the left-handers. 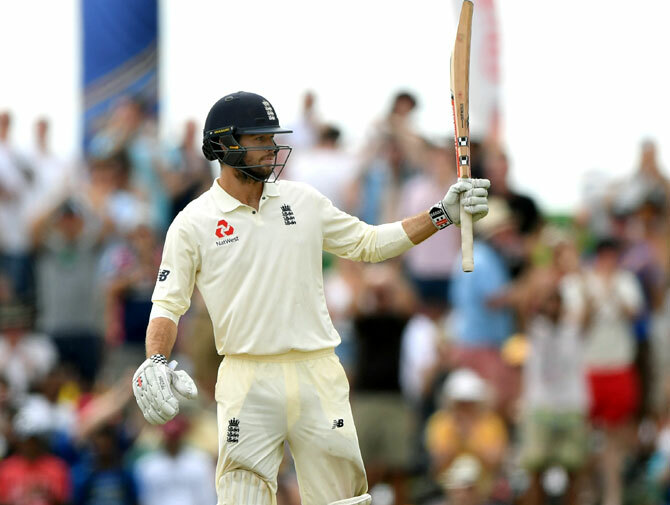 Buttler and Foakes sensibly abandoned the ultra-aggressive batting which had cost England dear in the morning session and combined in a 61-run stand for the sixth wicket. Even after Perera dismissed Buttler for 38, Foakes raised 88 runs with Curran, who hit three sixes before falling for 48, while Adil Rashid contributed a quickfire 35 down the order.